I'm too lazy to spend 1 minute every time I have to change DNS so I spent 10 minutes to wrote this script to do it quick. 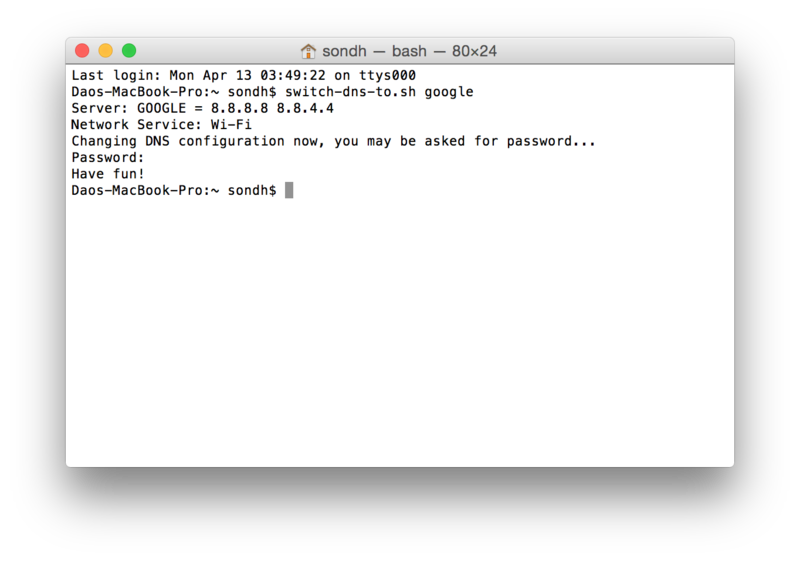 It currently supports Google, Open DNS and uFlix but it can support unlimited number of configurations. You will need to enter the user password.